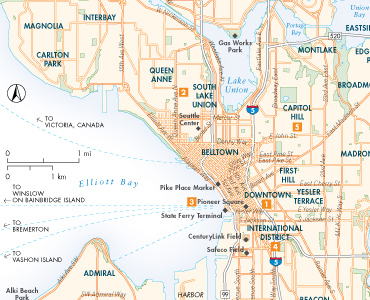 Just finished up a good number of maps for the Seattle area. These will make their way into the Fodor’s Seattle guide and also the Fodor’s Pacific Northwest, both due out this spring. I’ll post more regional maps once those are finished, but at first glance they look great. The geography in this area lends to great looking maps. More to come and Happy New Year. It’s not every day you get asked to produce map for a very remote place. Well this time it’s Yangon, the old capitol of Myanmar and once a hot bed of activity in SE Asia. Plus just this morning I read that Obama has a planned visit to the country, he will be the first head of state from the US to ever visit Burma. Just a few years ago, most people would have had a hard time finding Myanmar on the map, much less the capital. But now with sanctions lifting, the junta becoming more accommodation to it’s people and multiple visits by heads of states, Burma is back.